If it's good enough for Jennifer Aniston then it's good enough for us. The 5:2 diet plan is simple. For two non-consecutive days a week you must limit yourself to 500 calories a day (600 for men) and the rest of the time you can eat normally. Though, you may be disappointed to hear (like we were) that ‘normally’ doesn’t mean you can feast on takeaways and family-sized Galaxy bars, rather, you need to stick to the recommended daily calorie intake (2,000 for women, 2,500 for men). Celebrity fans of the 5:2 diet include Miranda Kerr and Jennifer Aniston apparently. Yes, the diet secrets of the rich and famous never cease to amaze us. How does the 5:2 diet work? 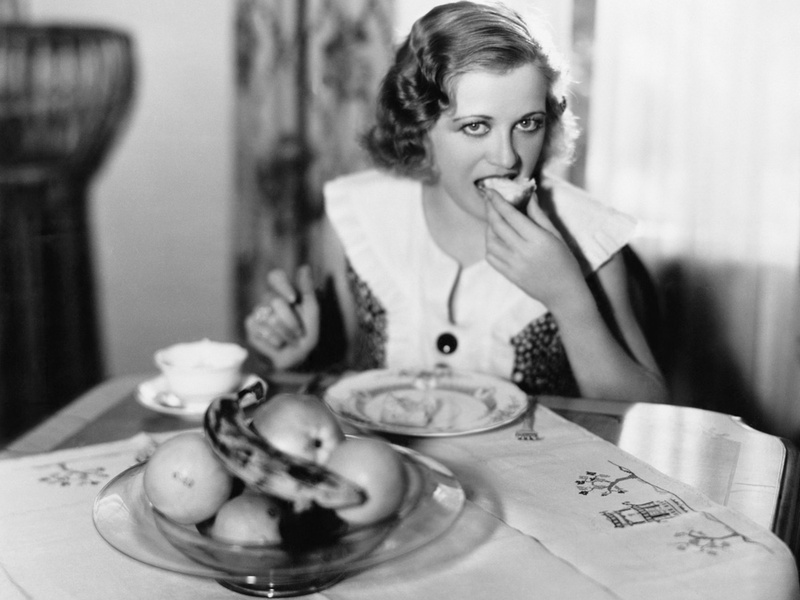 The 5:2 diet is essentially a fancy name for intermittent fasting. Fasting is seen as a more effective way to lose weight because by cutting down on your calorie intake intermittently, rather than all at once, your body goes into ‘repair mode’ and not ‘starvation mode’. This repair mode causes the body to restore damaged cells, which uses more energy, whereas starvation mode causes your body to store fat. So, now you know the facts, here are some 5:2 diet recipe ideas that’ll keep you under the 500 calorie threshold. These 5:2 diet recipes were taken from The Ultimate 5:2 Diet Recipe Book (Easy, Calorie Counted Fast Day Meals You’ll Love), by Kate Harrison, £6.99. 1. Preheat the oven to 180˚C/350˚F/Gas mark 4. Line a 12-hole muffin tin with paper cases. 2. Mix together the oats (keeping a tablespoon aside for the topping), flours, baking powder, bicarbonate of soda, salt and sugar. 3. Mix together the mashed bananas, egg and oil and then pour into the dry oat and flour mix and fold together. 4. 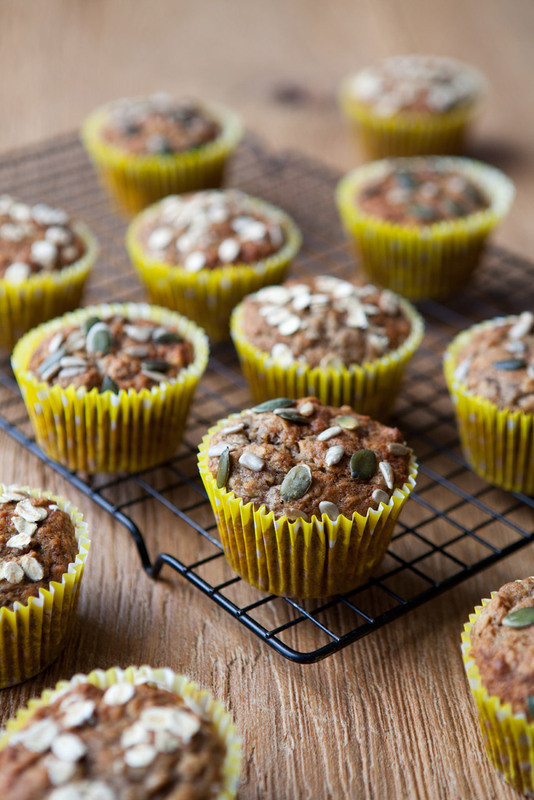 Spoon into the prepared muffin cases and scatter the top of each muffin with the reserved oats and the seeds. Bake for 20–25 minutes, until brown and slightly springy to touch. 1. Heat the oven to 200˚C/400˚F/Gas mark 6. Place the chopped peppers, courgette and onion in a shallow baking dish. Spray with a little 1-cal cooking spray, season well with salt and pepper and roast for 10 minutes. 2. 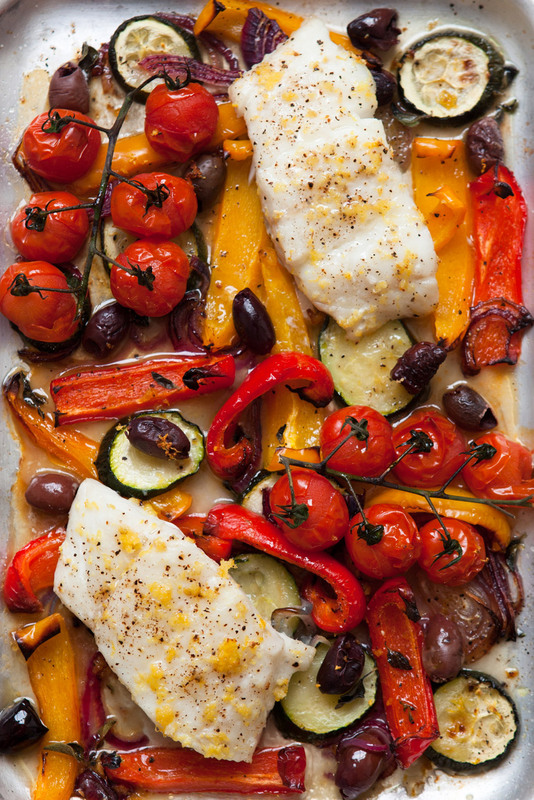 Place the cod fillets on top, season and spray with 1-cal cooking spray. Scatter the tomatoes, olives and lemon zest around the fish, and squeeze over the lemon juice. Sprinkle with the herbs, season again, and bake for 8–10 minutes, until the cod has just turned a denser white colour (this shows it’s cooked). Scatter with the olives and serve immediately. 1. Spray a non-stick frying pan with a little 1-cal cooking spray. Add the onion and spring onions, season with salt and pepper and fry over a low heat for about 5 minutes, until softened but not coloured. 2. Add the garlic, chilli and Cajun spice, then fry for 2–3 minutes. Tip into a bowl, add the beans and roughly mash. 3. Leave to cool slightly, then add the egg, breadcrumbs, coriander and lime juice. Season well, then mix to combine. Gently stir in the crumbled feta. 4. Wet your hands lightly, then shape the mixture into 4 large patties. Chill in the fridge for 20 minutes to firm up. 5. Preheat the grill to medium. Spray a little more cooking spray in a grillproof frying pan and heat over a medium heat. Add the burgers and fry for 3–4 minutes on each side, until golden brown. Top each burger with a slice of halloumi, then cook under the grill for 3–4 minutes, until the cheese is bubbling and melted. 6. 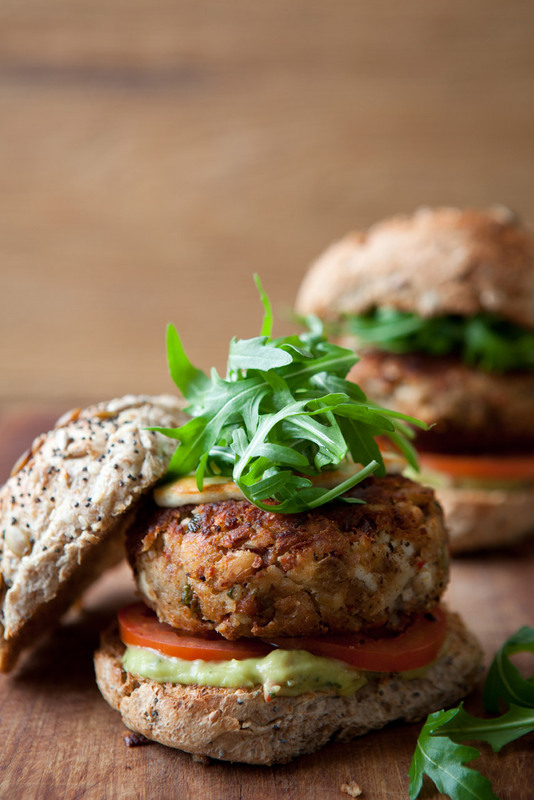 Serve in toasted buns topped with guacamole, rocket leaves and sliced tomatoes, if desired. What are the benefits of the 5:2 diet? Fast days and carbs don’t mix. A sugary croissant will eat up most of your daily allowance and leave you famished by eleven o’clock, focus instead on vegetables, salad and small servings of lean meat, fish, eggs or tofu. Why not jazz them up with herbs, spices and flavourings? Chilli flakes or curry pastes in soups, stews or baked beans; flavoured vinegars or lemon juice to dress salads, and fresh herbs as a topping for most dishes. Soups are also a great bet because they’ve been proven to fill you up for longer than the same ingredients served on a plate! We’re always told that breakfast is the most important meal of the day – but many of us on 5:2 find that the later we eat, the less hungry we feel so experiment with meal times to see what suits you best. Swapping three meals for two or even one gives you more calories per meal. Try brunch at 12 and supper at 6, or a bigger meal with your partner at 7pm. There’s some evidence that leaving longer between meals has bigger healthy benefits. If you like ‘traditional’ meat and two veg, flip the proportions – serve a small piece of grilled chicken or seared tuna, with two or even three big portions of veg. The 5:2 diet saves you money, because you’re eating less and because fresh, seasonal produce is the most satisfying and best value. Pick what’s fresh and cheap at the supermarket or market stall – those overripe tomatoes will be delicious roasted with balsamic vinegar and herbs. In winter, root veg like parsnip and butternut squash are delicious in soup or roasted and served with low-fat feta. Halved peppers can be stuffed with cream cheese, veggies or tuna, then grilled. You can even bake an egg in one. We all know how hard it can be to avoid those tempting sugary snacks in the office or the urge to tuck into something not so virtuous in front of the TV after a stressful day. Which is why we’ve teamed up with Lifebox on their Winter Skin Edition box, featuring 20 tasty and nutritious snacks and drinks worth over £65. The Lifebox Winter Skin Edition made by Marie Claire is £36 and available now on lifeboxfood.com/marieclaire – get it before it’s gone! • Swap bananas for fresh or frozen berries in yogurt, for less of a sugar rebound. • Swap quiches or flans for omelettes – all the flavour, none of the high-calorie pastry. • Swap high-fat hard cheeses for lower-fat ricotta, feta or reduced fat cream cheese. • Swap cappuccino for a black Americano. • Swap ice cream for home-made lollies (made from low-sugar cordials and blueberries or raspberries). • Swap rice for cauliflower ‘rice’ – grate a portion of uncooked cauliflower and microwave for 1-2 minutes for a lower-calorie substitute that – honestly – doesn’t taste of cauliflower! • Swap tagliatelle for courgettes sliced into thin ribbons with a potato peeler – boil or steam for 1 minute and serve with your normal pasta sauce. • Have something instant to hand in case of a snack attack: if you love sweet things, then no-sugar jelly is ideal at under 10 calories. • For a savoury craving, a sachet of miso soup or lower-cal cup-a-soup is between 10-40 cals. • For days when you’re too tired to cook from scratch, a ready-made fresh soup or a small can of beans on a slice of wholemeal from a small loaf come in at under 200 calories. • Ready meals aren’t fashionable, but the M&S range, Innocent Veg Pots and the Morrison’s NuMe dishes have been highly rated by 5:2 fans.